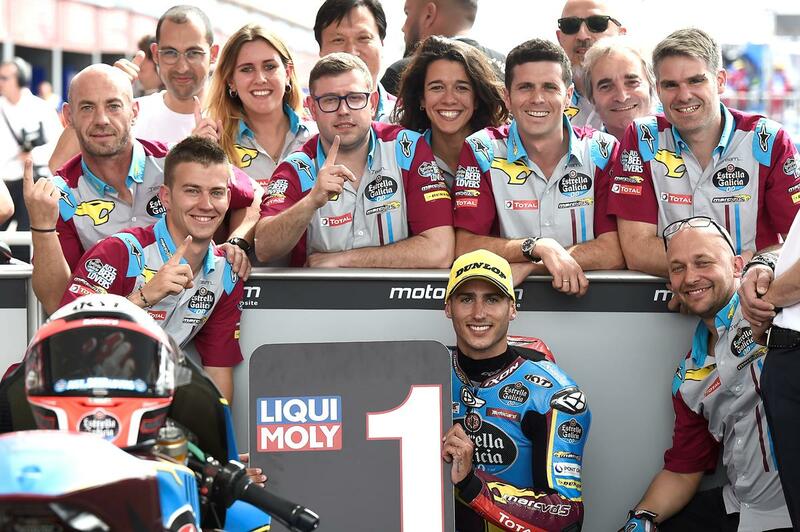 Xavi Vierge’s Argentinian GP qualifying lap of 1m 42.726s is now the outright circuit record for the Moto2 class. The 21-year old achieved his second pole position in his grand prix career, and his second consecutive pole at this event. Vierge had started the day well, finishing FP3 in 10th place. His fastest qualifying lap of 1m 42.726s was posted on his third lap in a nine-lap qualifying run. The rider from Barcelona has now qualified on the front row four times in the past five grand prix. In FP3, 23-year old Alex Marquez posted the fastest top speed of the weekend so far (284,5 kph), a full 0.8 kph faster than the next rider – his team-mate Xavi Vierge. Márquez posted two impressive eight-lap runs in FP3 that demonstrated great consistency. A famous double front row for the Team Estrella Galicia 0,0 Marc VDS team-mates appeared likely as Marquez’s 1m 42.773s, set on the last of his nine laps, put him third. However Sam Lowes’ late effort demoted him to fourth.